by the engine by means of a belt known as the serpentine belt. The belt drives the shaft of the alternator. The rotor of the Alternator contains the field windings. The field windings are excited by a Voltage regulator. 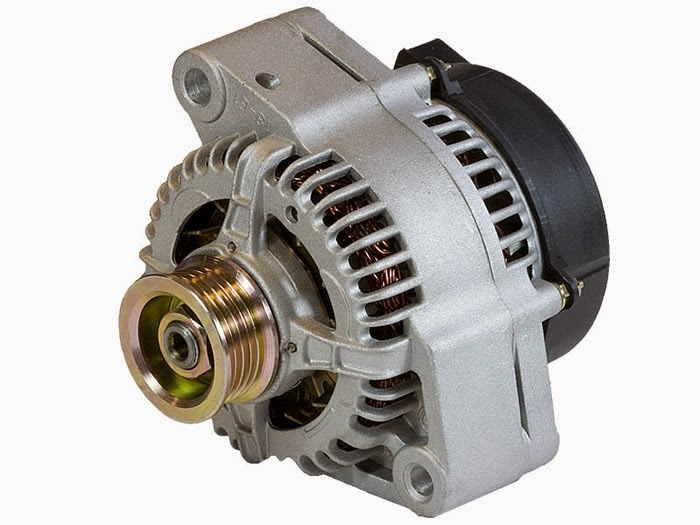 power is generated on the stator of the alternator which makes evacuation easier. The output of the Alternator is AC. This AC supply is converted into DC by means of diodes. The DC supply is used to charge the battery and to supply power to all the electrical fitments in the car.